This survey form is used by a company or a business organization to find out whether its employees are happy with their jobs and the other facilities offered to them. Used by the emergency service companies like paramedics, fire department etc, this survey form helps them to find out what their customers think of their services and how these can be further improved. 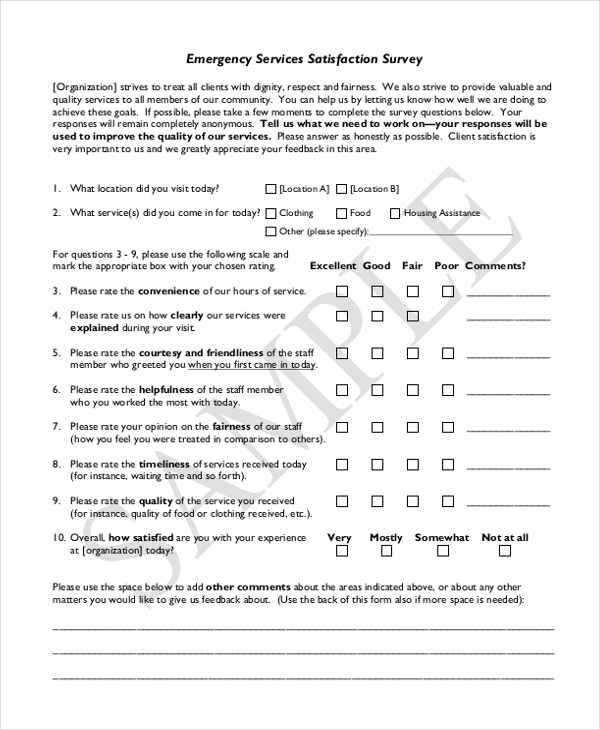 This form is used by service organizations and contractors to gauge the level of satisfaction that their clients achieved from their service. By posing some questions, they can easily make out what their clients think. Mainly used by business organizations and corporate houses, this survey form helps them to analyze what their customers think about the way the staff handles their queries, concerns and complains. 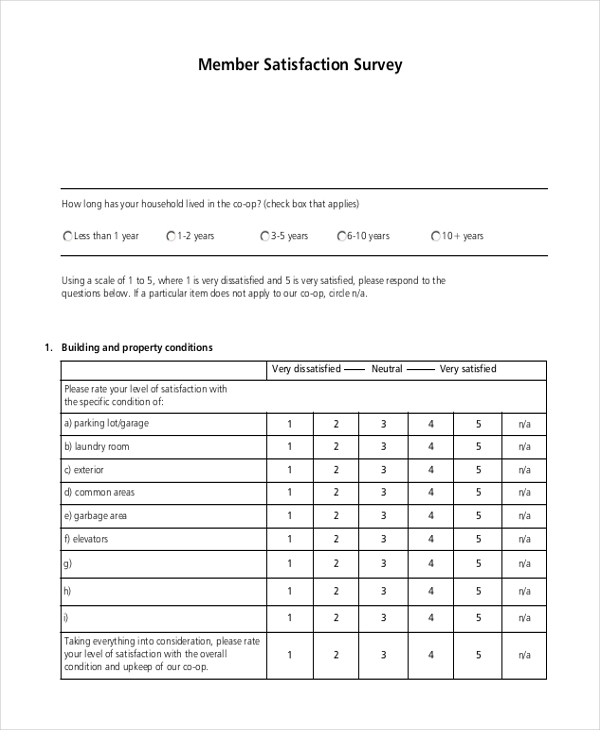 This form is mainly used by committees and clubs to gauge if their members are satisfied. By conducting this survey, the concerned party can find out how they can improve their working. As the name suggests this is a survey that is conducted by the business organizations to assess what their vendors and suppliers think about them and analyze their ease of dealing with the company staff. 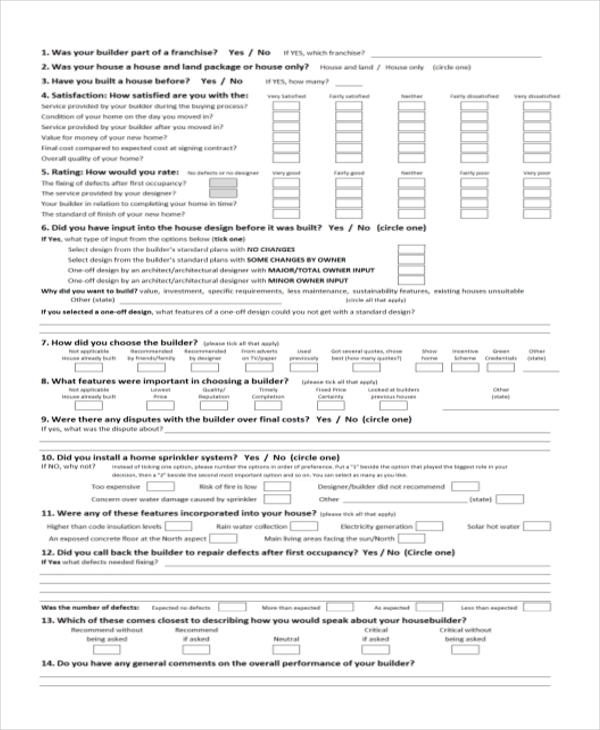 A real estate agent or agency uses this form to conduct a survey on the people who may have bought a new property with their help. The result of this survey enables the party concerned to understand whether the customer is satisfied their service. 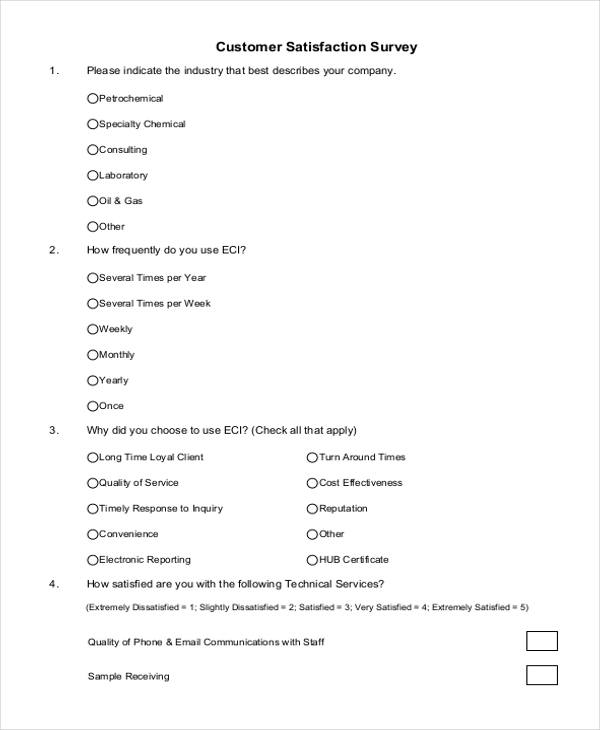 This survey form is usually used by a training agency or firm to find out what the trainees thought of the session. Such a survey acts as a positive feedback for the agency and helps them in improving their sessions. 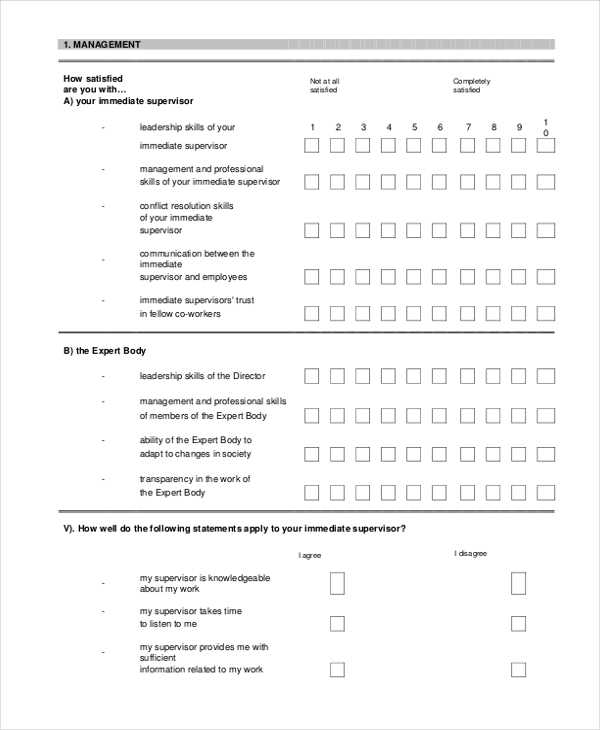 Used by the business organizations to conduct a survey to gauge the satisfaction levels of their shareholders, this form helps them to analyze how they can improve their shareholder experience. 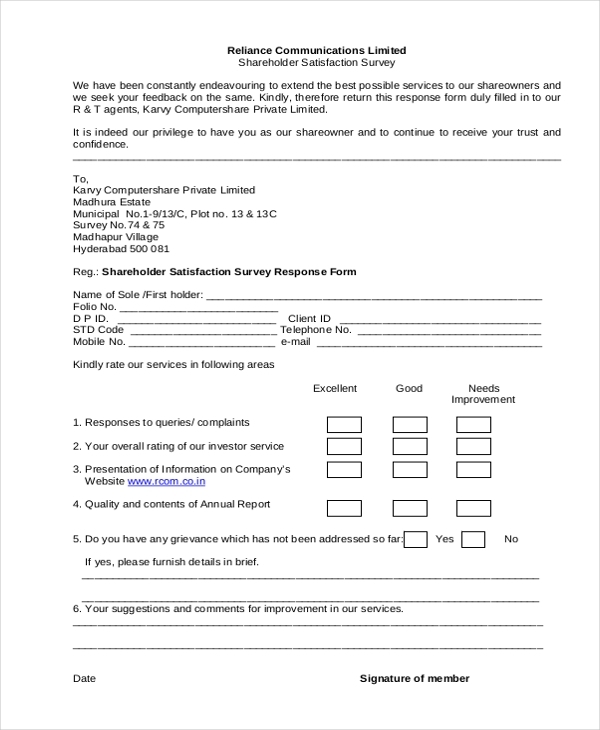 This survey template is used by the owner of a residential or commercial property to ascertain that his tenant is satisfied with property and the facilities provided. This survey helps the owner to make improvements to the site if needed. Who should Use a Satisfaction Survey Form? How can you Design a Satisfaction Survey Form? Before you start designing the form, give the idea some thought and decide on what all areas you intend to cover in the survey. Based on this analysis, frame some relevant questions. It would be a good idea to frame close ended questions where the customer is required to answer in “Yes” or “No”. This makes it easier for the customer to fill the form. You can surely add a couple of open ended questions in the end. 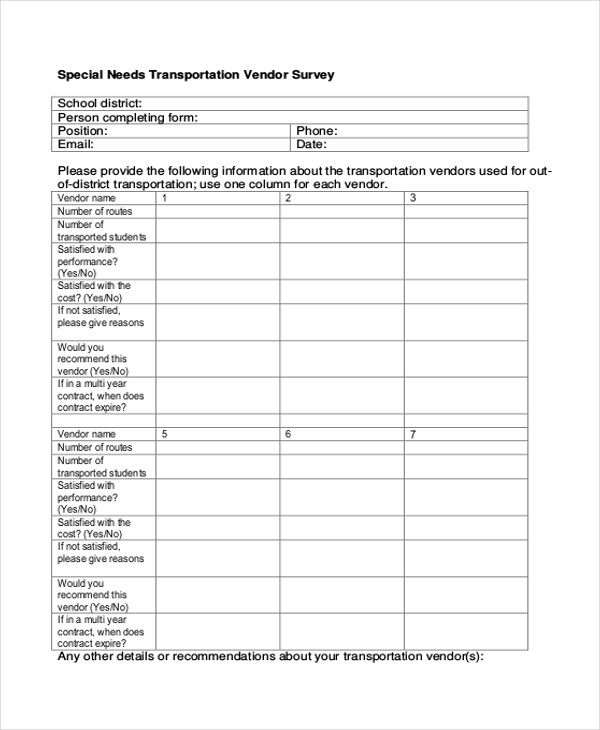 Make sure that the survey form is not too long as lengthy forms are time consuming and boring. 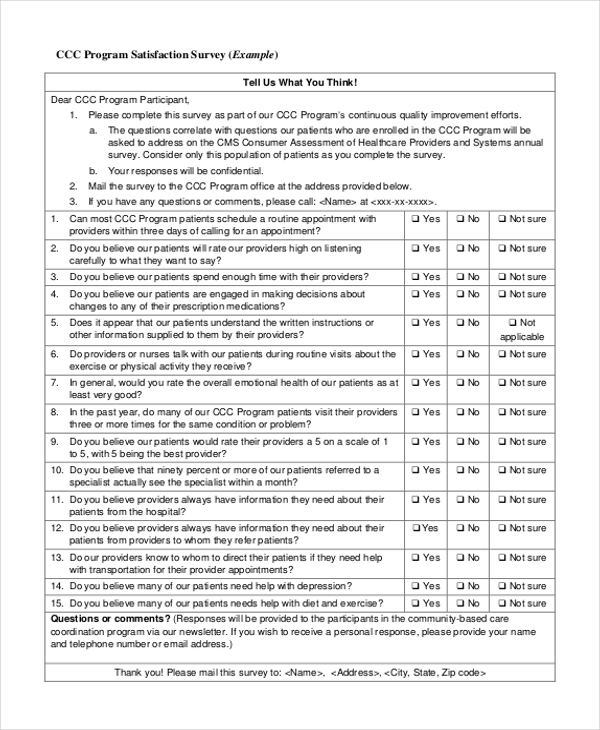 What are the Benefits of Using Satisfaction Survey Form? In order for a survey to be an effective one, the survey form should be designed with utmost care by adding the relevant question. However, this can be time consuming and thus seem like a task. 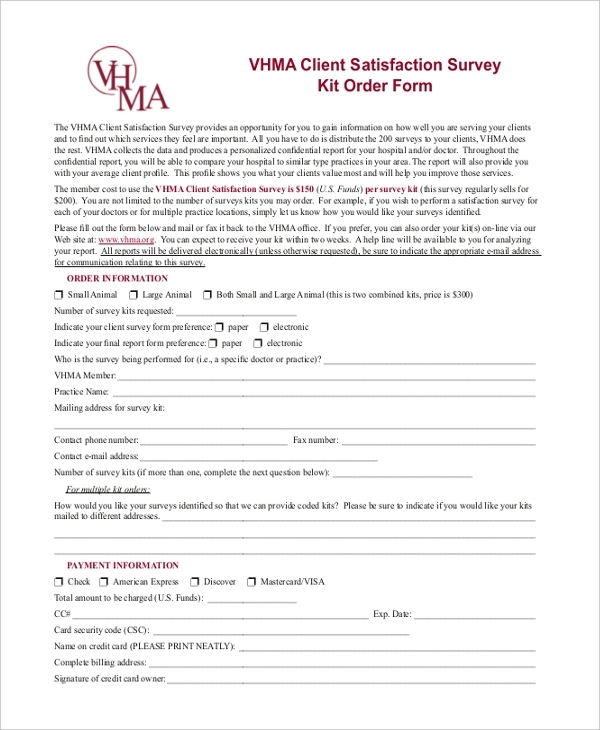 By using the satisfaction survey forms available online, you can easily design a survey form for your organization. The fact that these forms are easy to customize makes them an ideal choice.